Every time I pick up friends or relatives at the San Diego Airport I enjoy watching their reactions as they see, for the first time, the San Diego skyline. They are particularly impressed with the breathtaking views at night. The bright lights shine like beacons; especially the Emerald Shapely Building with its slanted rooftop architecture and its emerald green sparkling lights. San Diego is indeed a beautiful city. However, there is more to the city than meets the eye. For me, the city of San Diego conjures up memories of the movie, The Wizard of Oz, and the magnificent Emerald City. 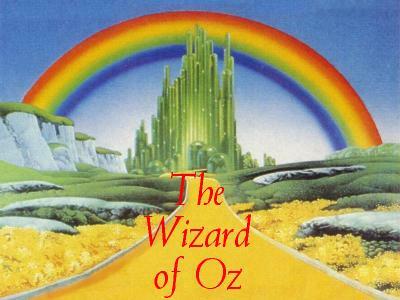 In the movie, Dorothy never really sees the city because its splendor is illusionary. Dorothy and her new-found friends skip along the yellow brick road and although they get to visit the castle and the wizard himself, they never quite get to the city. In many respects the city of San Diego reminds me of the mythical Emerald City of Oz. When the brilliant lights of the city fade into the nighttime darkness, you don’t have to look very hard to see another facet of this Emerald City. With very little effort you can find thousands of homeless people scattered throughout downtown San Diego. Looming beneath the darkened underpasses, they huddle together to keep warm. Visit the San Diego Central Library around 8:00 PM on any given night and you will see homeless people trying to claim a piece of pavement they can call home for the night. Many of them have only one thin piece of cardboard that protects them from the cold pavement. “I visited San Diego last week for an electrical engineering conference and exhibition. As I walked from my hotel on Ash Street to Sunday mass at St. Joseph’s Cathedral, I was taken aback with the number of shelterless people packing up their meager belongings. It struck me as unacceptable for the wealthiest nation on the planet to present this image to a foreigner who admires the wealth that the US has been blessed with”. The number of homeless in San Diego County is currently estimated at approximately 9,000, of which 3,000 are veterans. This has become a source of embarrassment for the city of San Diego. In an effort to make the city appear to be more cosmetically attractive to convention visitors and tourists, the city, from time to time, forces the homeless to pick up their few possessions and move to a different location. Recently the American Civil Liberties Union (ACLU) won a suit against the city of San Diego for confiscating and destroying the meager belongings of the homeless. In many cases these belongings consisted of small amounts of money, pictures of family and loved ones, and sometimes prescription medicines. The ACLU won the suit and the city of San Diego was instructed to provide some storage boxes for the poor that would ensure that what little the homeless have in personal belongings can be safeguarded. It seems ironic that a foreigner, Mr. Clark of New Zealand, shined a revealing light on our city and attempted to shame our city fathers into taking more serious action. Some local churches and organizations have responded to this crisis. For example, Bethel Memorial AME Church regularly makes and distributes sandwiches and hot food to the homeless. During the winter of 2010, the San Diego chapter of the Veterans for Peace got involved. We instituted a project called “Campaign for Compassion.” We solicited donations to help us and to date have been able to distribute more than 700 ponchos and sleeping bags to the homeless in our city. Due to the severe recession, many of the people we encounter have fallen into poverty and find themselves homeless. They now live on the pavements in downtown San Diego. “We went to 16th street where we found families with young children living outside. We passed out our very last sleeping bag for the night and said to the families that we would be back to provide toys for the kids. We passed out all we had that night and left feeling that we wanted to do more. But at the same time feeling that we had made a difference”. Our organization is a non profit and your donation is tax deductible. Thank you in advance for any help you can send our way.